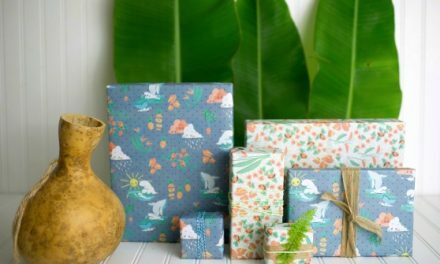 I’ve curated a list of the best products made in North Carolina that I'm sure USA Love List readers will love. There are things that distinguish North Carolina from the rest of the country and brands that make it stand out. While I'm native to West Virginia, I now reside in North Carolina. Not only is it a special place to me because I've raised my family here, but also because of the beautiful scenery that surrounds it and the distinct culture that is North Carolina. 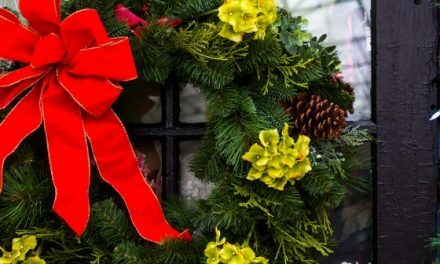 Do you know these Made in North Carolina products? Crab Pot Trees began when Harvey and Sons in Davis, NC experimented with their colored crab traps (locally termed “crab pots”) and the Core Sound Christmas tree was born. 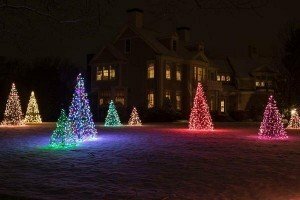 The unique artificial tree was an immediate hit with friends and neighbors, who loved seeing the traditional material put to a new use. LED lights are woven through the crab pot mesh to add the festive touch to these unique and durable holiday decorations made in North Carolina. Krispy Kreme Doughnuts was founded in 1937 by Vernon Rudolph who bought a recipe from a French chef. He had intended to only sell to the local grocery stores but through constant public demand to buy the sweet-smelling pastries, he relented and started selling right from the bakery as well. The first bakery was opened in Winston-Salem, North Carolina. Le Bleu is bottled water, bottled under a patent pending purification process and nationally sold. They also bottle sports drinks, coffee, and flavored drinks. This made in North Carolina product hails from Advance, North Carolina. 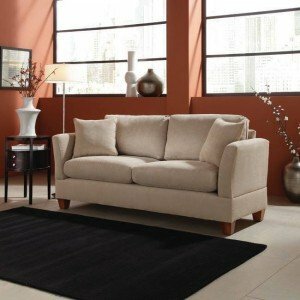 Simplicity Sofa, sold only through the company website, this unique furniture store creates unique, one of a kind furniture that is multi-functional and assembled by the consumer. 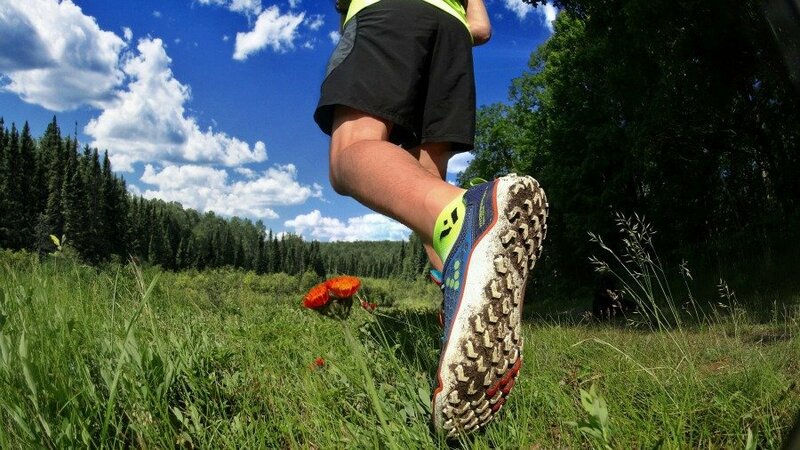 They offer one of a kind designs that are all hand-made and customized based on 30 frame options. These 30 frames are able to create hundreds of sofa's, sofa sleepers and sectionals. Cheesecakes By Alex started when Alex baked his first cheesecake at the request of his mother-in-law. Unhappy with the way it turned out, he baked and baked until he had the perfect recipe. Not long after, his friends and family agreed he had the best cheesecakes around and Cheesecakes By Alex was born. Lenovo, based out of Whitsett, North Carolina, Lenovo is the world's second largest manufacturer of PCs. Responsible for hand-held electronics like the ThinkPad and the ThinkPad Helix. The opening of this facility is the beginning of American made products relinquishing the reliance on overseas manufacturers and it created hundreds of jobs. Whether the person on your list drinks their beverage of choice from a can, bottle, or even a jar (with a cuppow lid, of course! 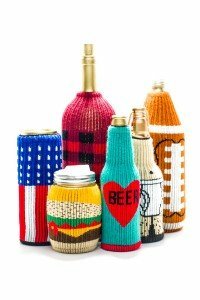 ), the made in North Carolina Freaker USA koozie will stretch to fit. Pepsi, originally “the Brad drink”, developed by Caleb Bradham in New Bern, North Carolina in 1893. Pepsi is now one of the world's top competing soft drinks. The Universal Bar Code, developed by George Lauer in collaboration with IBM in 1969 and implemented in 1972. The Universal Bar Code was intended to make a supermarket scanner code for inventory purposes. Goody's headache powder, developed in Winston-Salem, North Carolina by a pharmacist by the name of Martin Goodman in 1932. 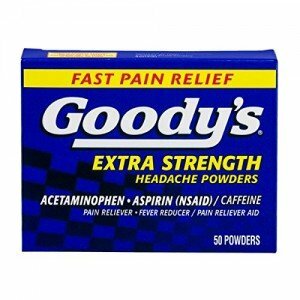 Goody's Headache powder is made in North Carolina and can now be found in grocery stores and convenience stores nationwide. Mt. Olive Pickles is the largest independent pickle company in the United States, made by Shickrey Baddour in the mid '20s in Mt. Olive, North Carolina. Mt. Olive Pickles are made in North Carolina and are now sold nationally in most food chains. Do you have a favorite Made in North Carolina product? Feel free to add it in the comments below. 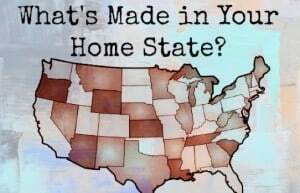 Wondering what's made in your home state? Don't miss our clickable map and be sure to let us know if we missed your favorite. PreviousYoga Supplies: All made in the USA. Namaste. I am a Krispy Kreme fan and was unaware that the first bakery opened In North Carolina. They are such a treat. Mt. Olive Pickles are my favorite from North Carolina. 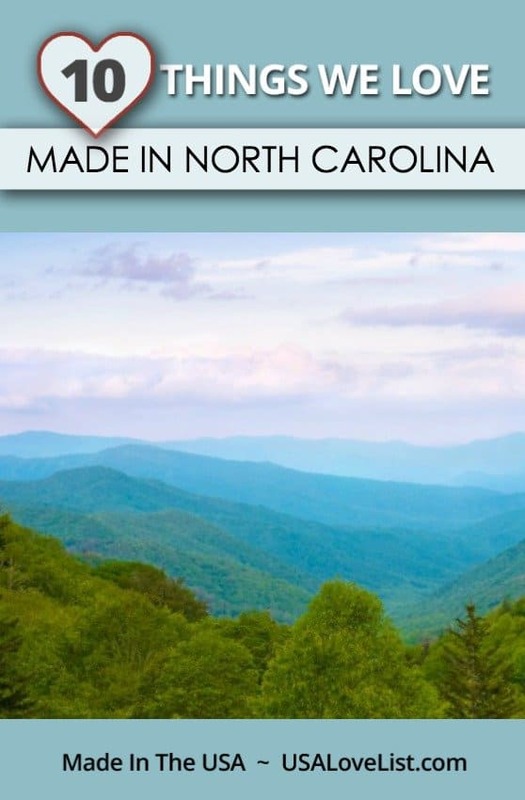 This is such a nice, wide ranging list of things made in North Carolina. Ole Mason Jar Apparel is Made in NC, as are the American Made gloves at Carolina Glove Company. No Kidding Goat’s Milk Soap is made in the Southern Piedmont of North Carolina. It is a wonderful product that I have used since just after it’s conception. Attached is their sales web site: https://no-kidding-soaps.myshopify.com/pages/about-us. Don’t let the NY address fool you at the bottom. I know for a fact that this soap is still handmade and hand cut in NC. My family and I usually go to the Cheesecake Factory when we have a hunkering for cheesecake, so I wonder if the Cheesecakes by Alex are just as good or are his better! Alex’s are generally “richer” and I would argue better. For a chain business I don’t think you can beat Cheesecake Factory though. On top of all that North Carolina is absolutely beautiful! There’s also Raleigh Denim, Stuart Nye Jewelry, Ashe County Cheese, Smithfield, Lenox China, Old Carolina Brick Company, Statesville Brick Company, Weyerhaeuser Lumber, and countless others including a few hundred furniture companies. Here in the Land of the Longleaf Pine there is never a shortage of locally sourced and manufactured goods for all of your needs. While your at it… Brooks Brothers makes button down Dress Shirts in NC too… There are so many things Made in NC it is a difficult list to make. As for the Lenovo plant in Whitsett I believe they only make product now for government & corporate contracts. Love Mt. 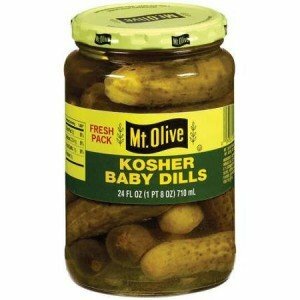 Olive Kosher Dills! Sad to say that I will not be buying any products made in NC until anti-trans laws are reversed and new laws that protect LGBT people are written in. How’s that working out for you? Drink products…clothes..make up..major pharmaceutical products..meats..cheeses..wines.. Why punish businesses that have nothing to do with law making? Smh. Very “I’m taking my toys and going home”. Honestly though; peace. We don’t want your business. If you’re so against nc; why are you on a forum about our state? Just stirring up drama..never trying to fix anything. Typical. Why you feel the need to spread your negativity astounds me. Do you really think you’re that important? Bless your heart. You are confused. The laws aren’t anti anyone. They give business owners the right to choose. If the owners want to sabotage their business by excluding people, then they can. I have some Mt Olive pickles in my fridge right now! They’re quite tasty. Cheerwine was also created in Nc, Barcodes, Overalls, and The first airplane. I am a professor from North Carolina and I am studying North Carolina. I hope this was helpful to you and may surprise you. Duke’s was born 100 years ago, in Greenville, SC…. not a NC product… and now made in Richmond, Va. I knew many on this list, but was surprised by a few! Proud NC girl here! Lighthouse Candles in Kernersville NC. Wonderful scents lovingly developed and available as air fresheners, candles, sprays, lotions and more!! Especially great is their Poot Away that actually absorbs odor. Also a formula designed for skunk odor elimination. Local owner is Betty Burger. Check them out on FaceBook. What a great list! I had no idea so many of the brands I use often got their start in NC.